Oil on canvas. 61 X 80 cm. Inv. No 3397 Signed and dated lower, center: Claude Monet 73 The picture was bought by Ivan- Morozov in 1907 in Paris from Durand-Ruel for 40,000 francs. There is probably an earlier variant in the collection of the Nelson Gallery and Atkins Museum of Fine Arts, Kansas City (USA). Oil on canvas. 100 X 65 cm. Inv. No 3312 Signed and dated lower left: Claude Monet 94 The picture was bought by Sergei Shchukin from Durand-Ruel in Paris in 1902. 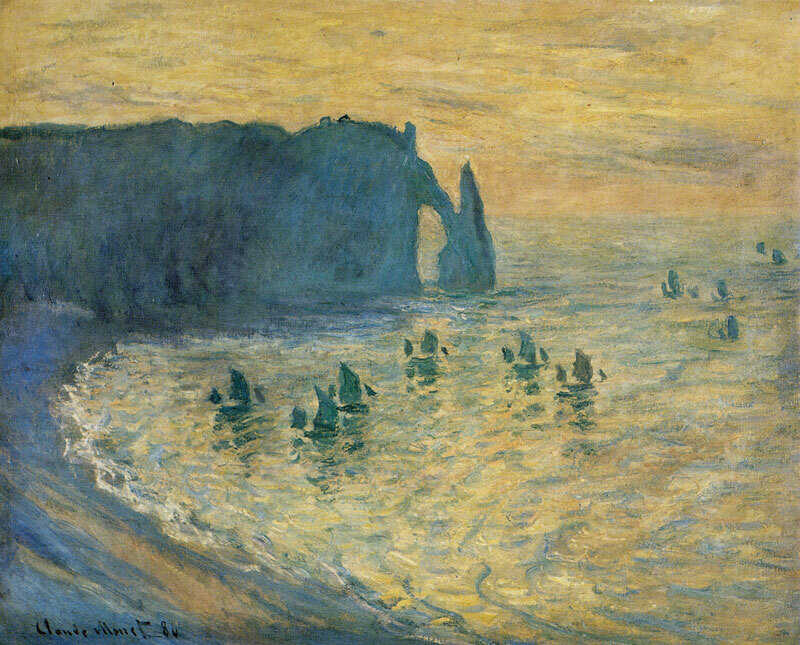 Monet worked on this motif from 1892 to 1894. Other canvases from this series, similar in composition and style, all dated 1894, are in The Louvre. Oil on canvas. 90 X 92 cm. Inv. 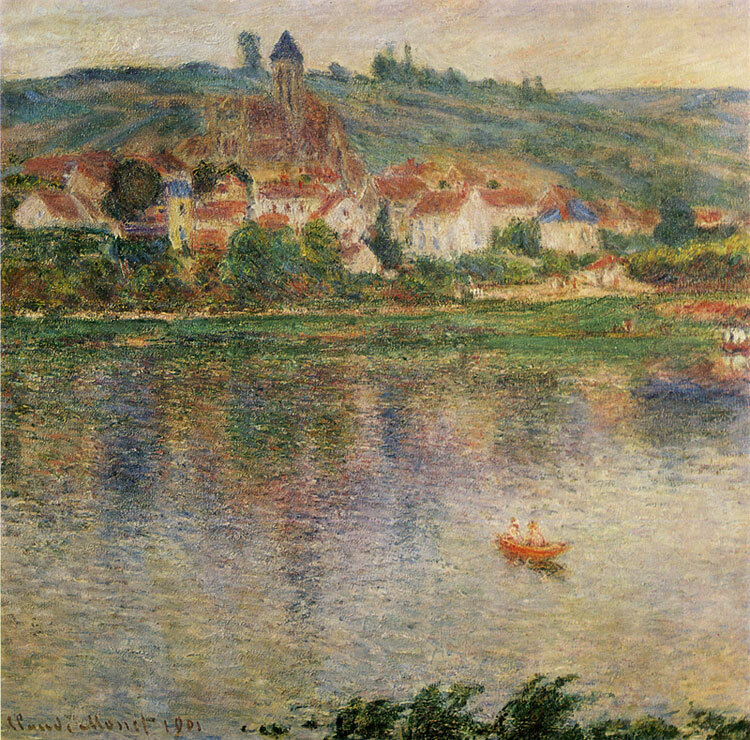 No 3314 Signed and dated lower left: Claude Monet 1901 Monet painted most of his views of Vetheuil in 1878— 82, but frequently returned to these motifs later on. The Moscow picture was done in 1901, during one of the artist's sojourns at Vetheuil. Two landscapes of Vetheuil of the same year are in the Art Institute of Chicago. The Pushkin Museum canvas was bought by Sergei Shchukin from Durand-Ruel in Paris on May 13, 1902. Oil on canvas. 82 X 92 cm. Inv. No 3306 Signed and dated lower right: Claude Monet 1904 Monet painted this picture after his second visit to London (1901—3). 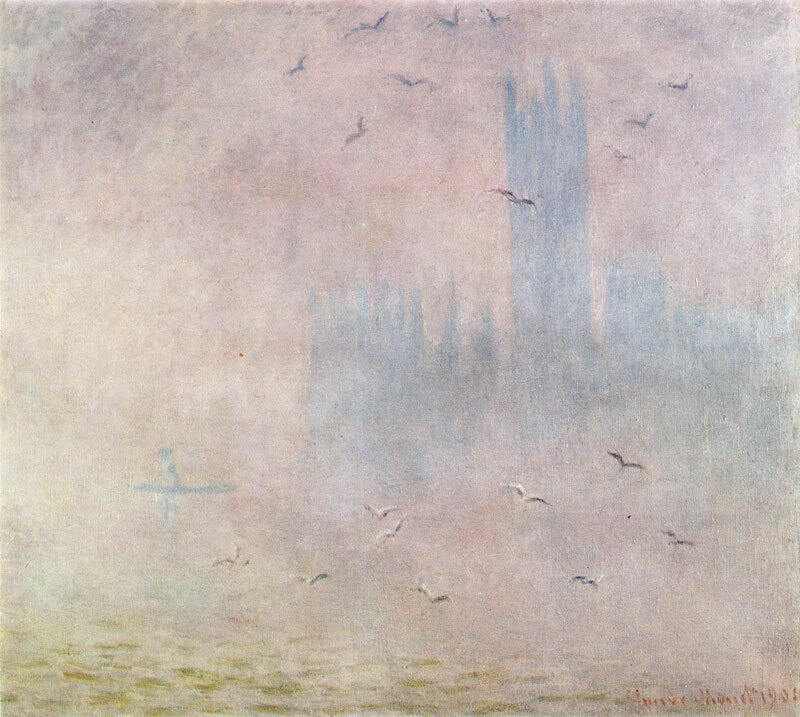 The canvas of 1904 of the same subject is in The Louvre. The Moscow picture was bought by Sergei Shchukin from Durand-Ruel in Paris in November 1904. Oil on canvas. 66 X 81 cm. Inv. 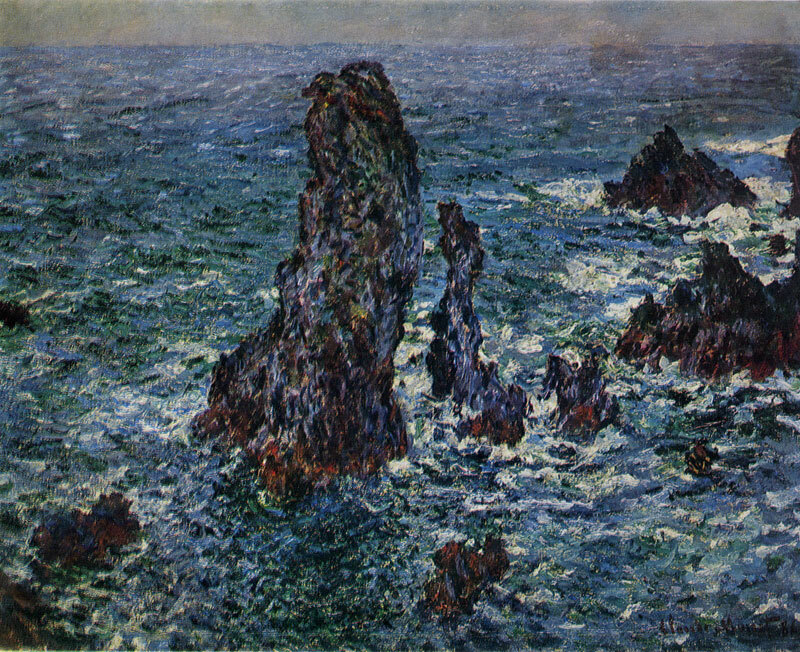 No 3308 Signed and dated lower left: Claude Monet 86 There are many seascapes painted by Monet at Et-retat. Closest to the Moscow canvas is Etretat dated the same year, in the Metropolitan Museum of Art, New York. 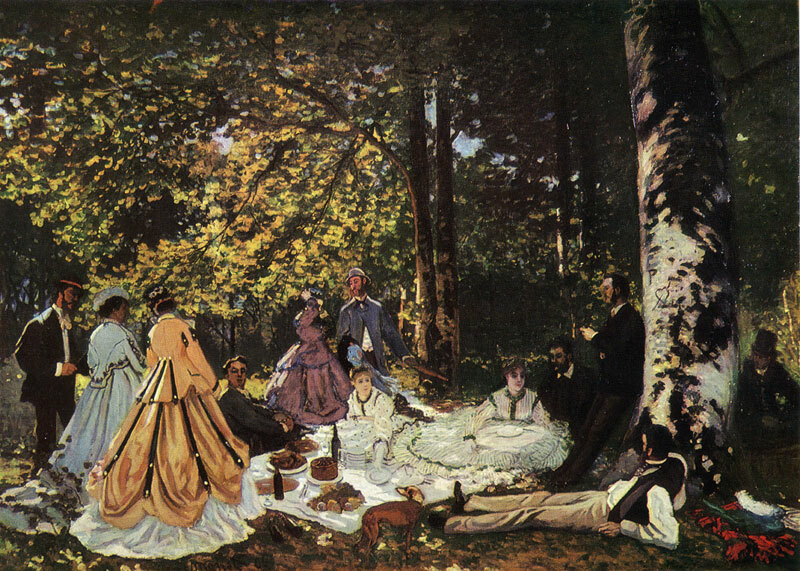 The canvas was bought by Sergei Shchukin from Durand-Ruel on June 24, 1898, in Paris. The earliest pictures of the Giverny series were painted by Monet in the mid-1880s. 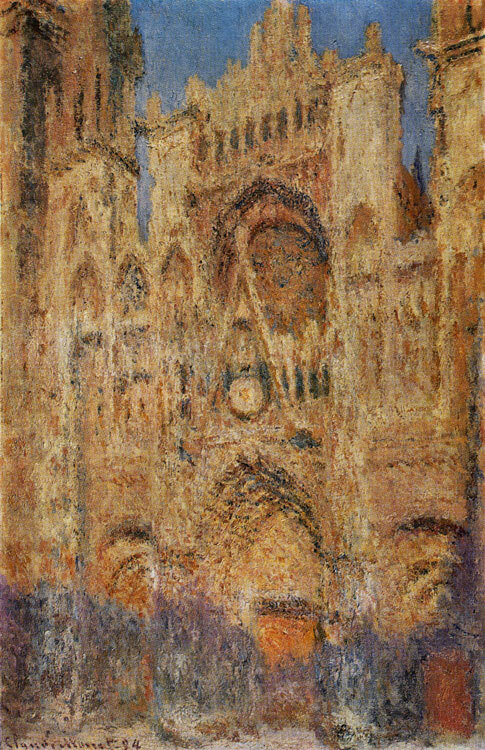 Although this canvas is not dated by the artist, it is known that in the catalogue of the exhibition of Monet's works from the Faure Collection, held at Durand-Ruel's in 1906, it was dated 1889. 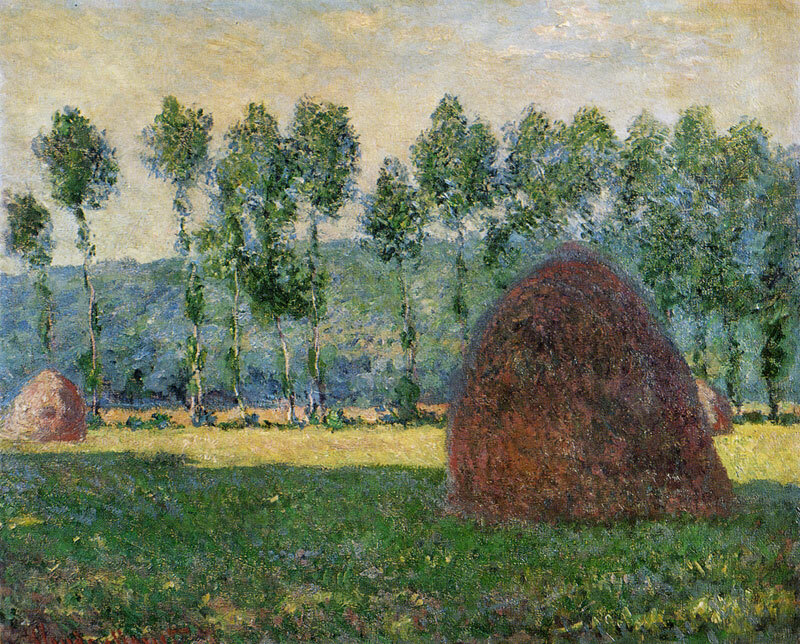 Haystack at Giverny was bought by Ivan Morozov from Durand-Ruel in 1907. The 1886 picture on the same theme is in The Hermitage, Leningrad. Oil on canvas. 65 X 81 cm. Inv. No 3310 Signed and dated lower right: Claude Monet 86 Monet painted a large number of landscapes at Belle-lie. There are views of Belle-He, similar to the Moscow picture, in The Louvre (The Rocks at Belle-lie, 65 X 81 cm; Storm. The Shores at Belle-lie, 65 X 81 cm) and in Copenhagen Statens Museum for Kunst, the Box Collection (The Pyramid at Port-Coton, 1886). 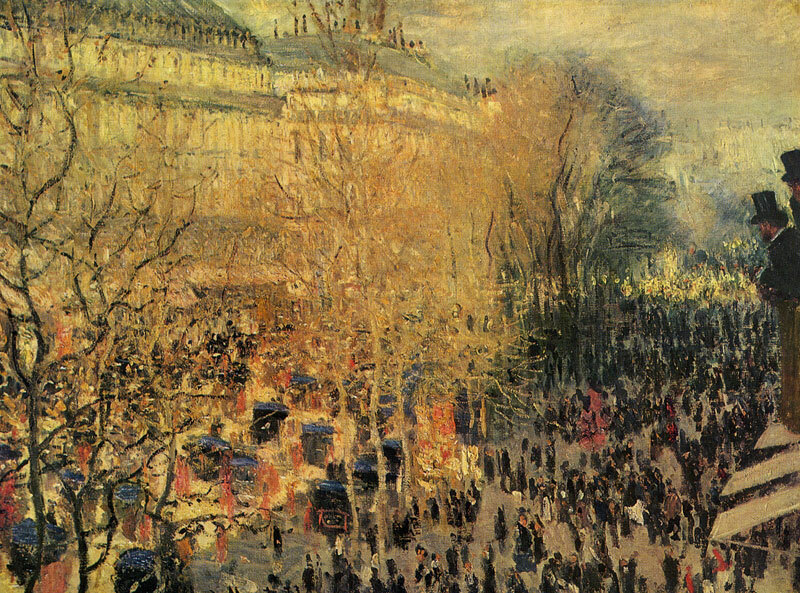 The picture was bought by Sergei Shchukin from Du-rand-Ruel in Paris on November 10, 1898. Oil on canvas. 89 X 93 cm. Inv. No 3309 Signed and dated lower right: Claude Monet 99 The series Water Lilies. Water Landscapes was painted at Giverny between 1898 and 1908. The Pushkin Museum picture is one of the first works of the series. 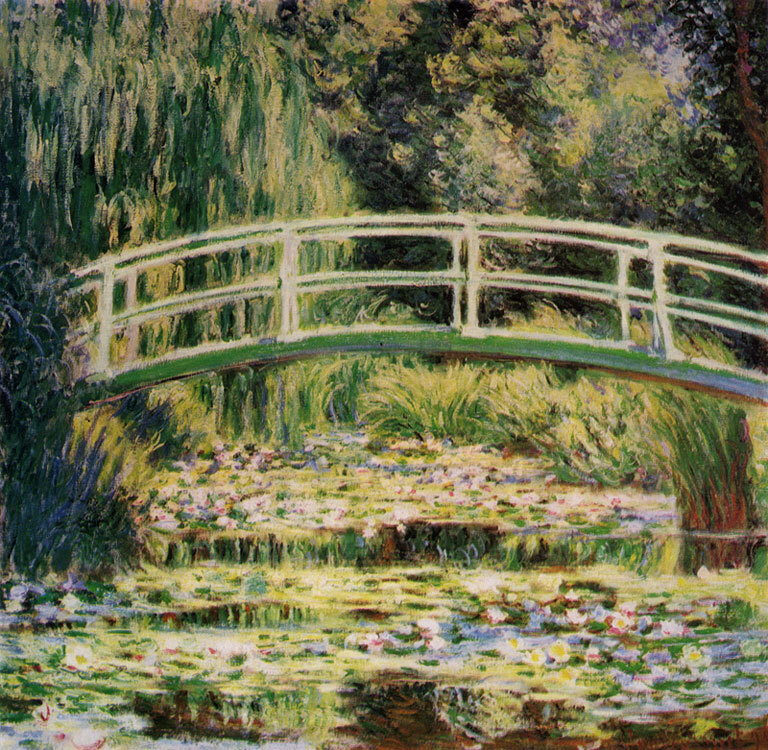 A compositionally similar variant of the same year (Pond with Water Lilies. Green Harmony, 89 X 93.5 cm) is in The Louvre.